For over fifty years the Twin Valley Riding Club has been active in this area. 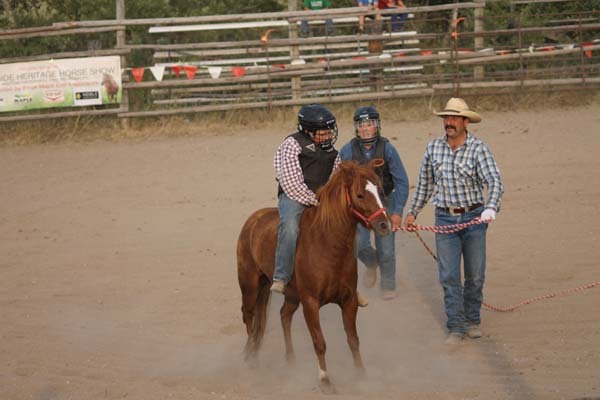 Members have come and gone but the club continues to participate in all types of equine activities and strongly promotes horsemanship, safety and youth involvement. 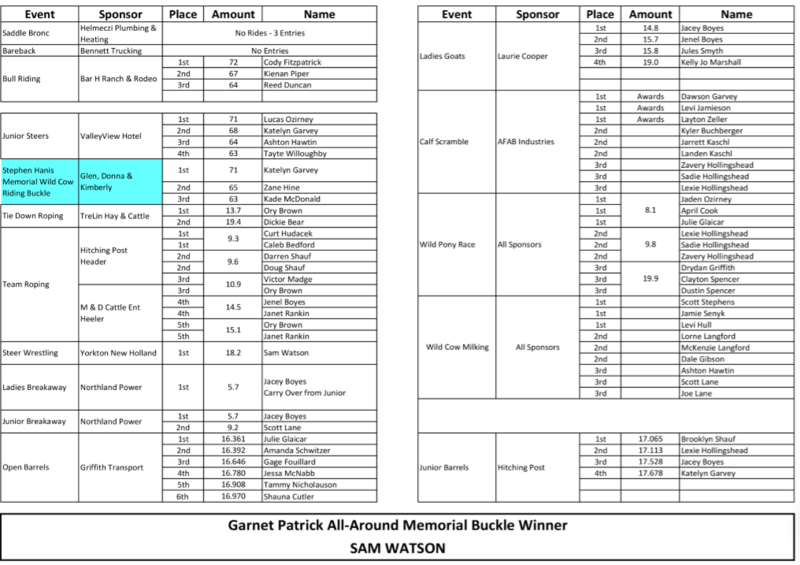 In the 70’s the TVRC became involved in hosting a local jackpot rodeo. The rodeo continues to be a jackpot paying the entries fees back to the contestants. Many competitors entered their first rodeo event at Twin Valley with some of these competitors going on to be very successful in other rodeo associations, either as competitors, stock contractors or both. 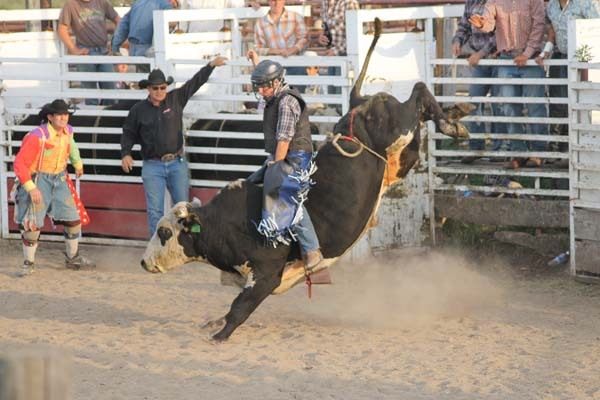 The Twin Valley Riding Club takes great pride that this rodeo is a family affair with competitors and spectators coming from near and far, year after year bringing with them the next generation of rodeo stars. Saturday night featured the 11th Annual TVRC Bullarama. There was a strong showing of bull riders and junior steer riders from all over. 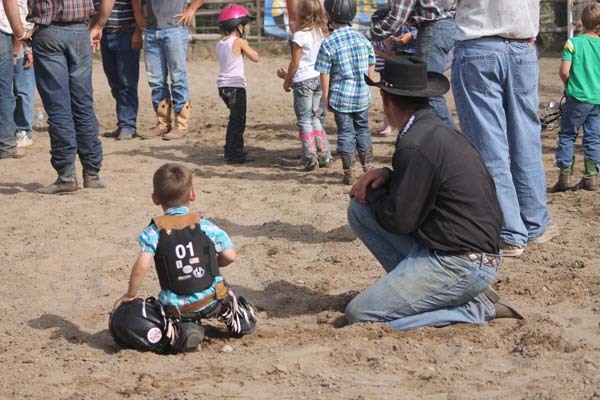 Junior Steer Riding is the younger version of the Bull Riding but don’t be fooled these pint size bull riders have no less heart, try or determination than the actual Bull Riders. Judges were Keith Young and Brian Kacsmar, bullfighters were Jordynn Swanson and Matthew Tomolak, pickup men were Luke Ellingson and Wayne Rowe with announcer for the evening being area favorite, Winston Bear. Stock for the evening was supplied by Knutson Bucking Bulls, Laurie Kacsmar and Bar H Ranch & Rodeo. Following the Bullarama, “After Dark Productions” got the crowd going for the “Family Fun Dance” in the Beer gardens. Music, dancing and a good time was enjoyed by everyone. Bright and early Sunday morning 42 junior contestants were able to show their stuff running barrels and poles during the Youth Gymkhana. Every participant received an award made possible by the generosity of our many sponsors. Pastor Lorne Bonk of Grenfell and friends provided a beautiful and inspirational Cowboy Church service for the appreciation of many. 1:00 Rodeo action began with the Grand Entry lead by TVRC King Clayton Spencer carrying the TVRC flag with a guest appearance by the Manitoba High School Rodeo Association Queen Milagh Sattler. Clayton and Milagh were followed by more youth carrying the flags of rodeo, a spectacular sight. Thanks to all the TVRC youth that keep our club young Callie Helmeczi, Dustin Spencer, Jessa and Jared McNabb, Jenna McKay, Sheradyn, Drydan and Dawson Griffith, Lexie, Sadie and Zavery Hollingshead. Then the very talented Cassandra Tomolak sang a beautiful version of Oh Canada. Area favorite Winston Bear was the announcer, other people out front making the show happen were Art Cochrane and Brian Kacsmar judges, Darcy Helmeczi and Marcy Helmeczi timers, Luke Ellingson and Wayne Rowe pickup men, Jordynn Swanson and Matthew Tomolak cowboy lifesavers (bullfighters), Michael Tomolak clowning around, Trevor Nicholauson timed events, Donald Helmeczi and Mark Fraser rough stock events and not to forget the many others behind the scenes making the show a success, without the many volunteers and hardworking club members we could not host the amazing event. Contestant entries were great again this year making for an exciting day of rodeo, the smiles on the faces of young and old telling the story. The Twin Valley Riding Club thanks everyone for making the Rodeo a huge success and is looking forward to next year. See you all there.